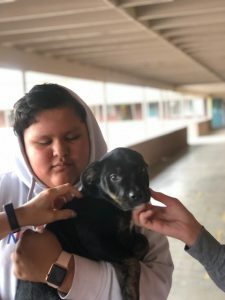 One of Lane School’s hard working students, Moises, negotiated a special plan with the principal to earn the privilege to bring his 10-week old puppies to campus. On the left, Moises proudly holds his very own puppy, Rocky. 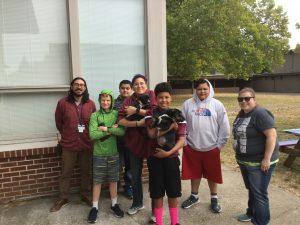 On the right, Moises’s homeroom staff and students pose with both puppies.